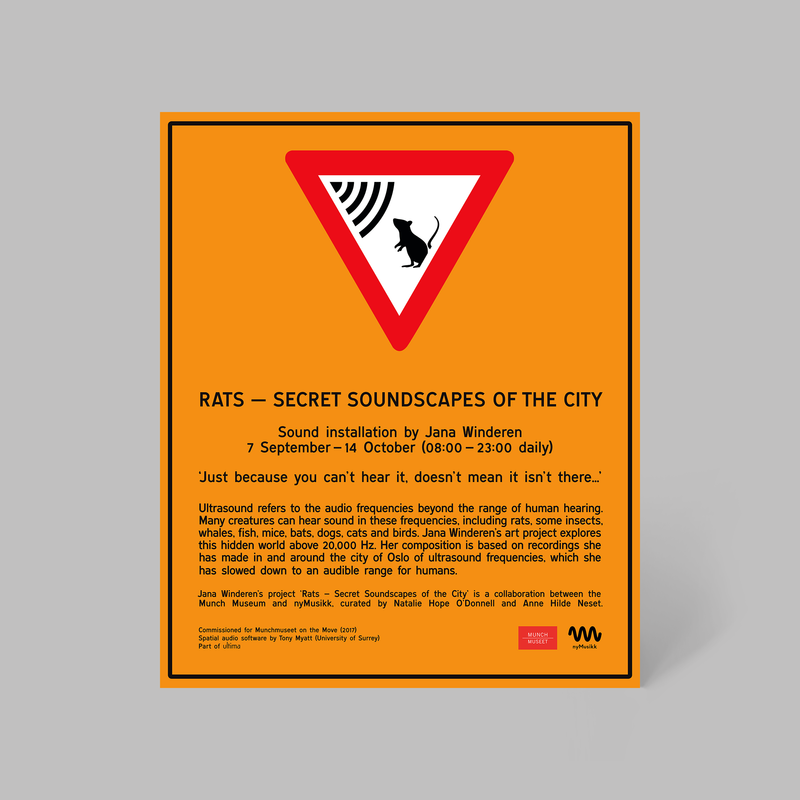 ‘Rats – Secret Soundscapes of the City’ was a site-specific project by Jana Winderen. 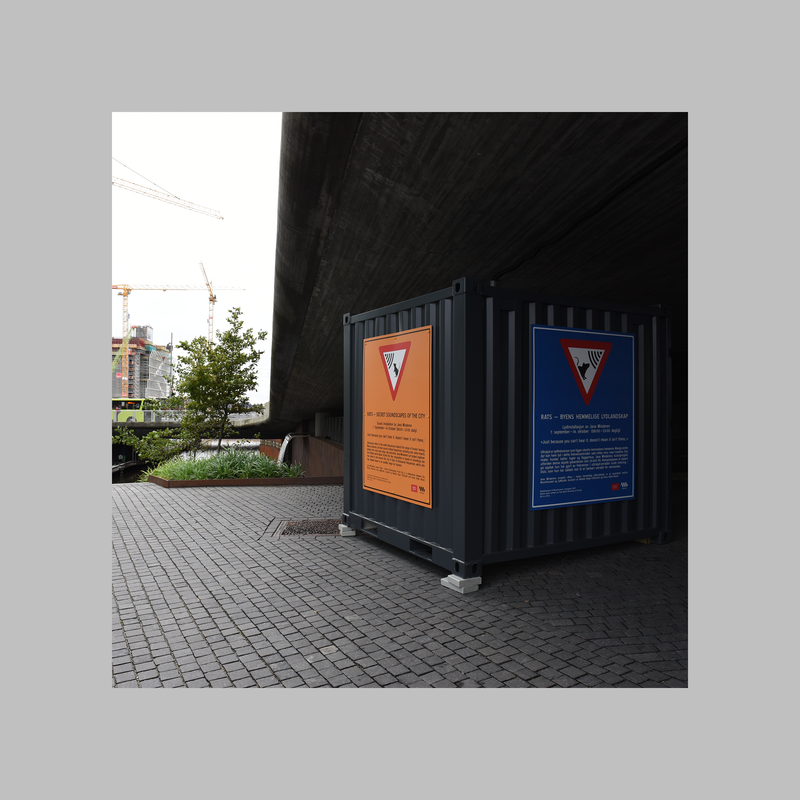 A multichannel public sound installation presented in Bjørvika, Oslo from 6 September to 14 October 2017, it was a collaboration between Munchmuseet on the Move and nyMusikk, curated by Natalie Hope O’Donnell and Anne Hilde Neset. Based on the hypothesis that rats serenade one another with love songs, Jana Winderen recorded the ultrasonic landscape of Bjørvika and slowed the sound down to human hearing levels. 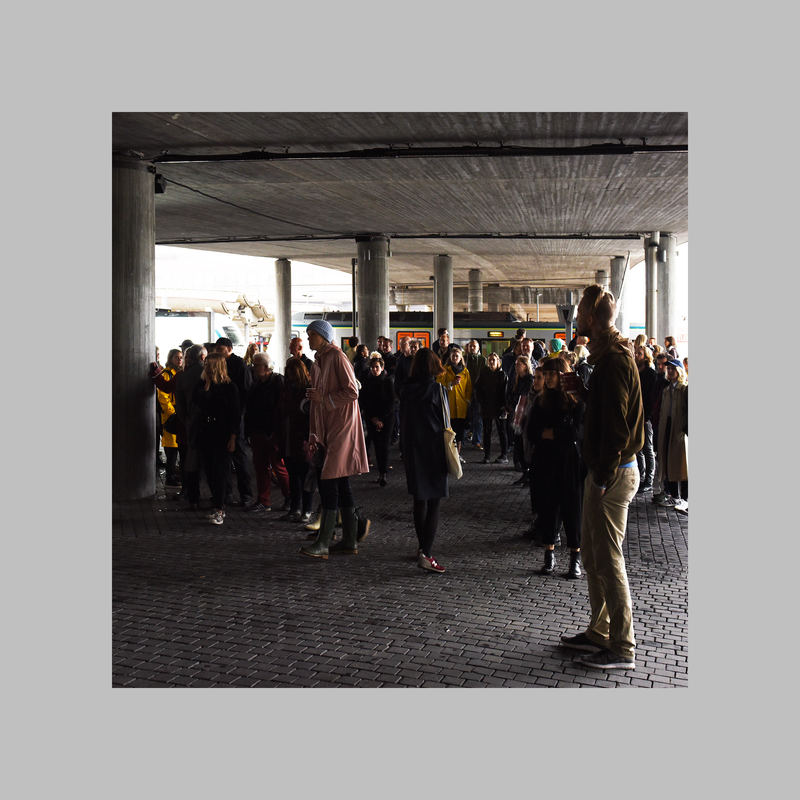 The multichannel sound piece was installed under a flyover at the mouth of Akerselva, where the river meets the sea in this rapidly developing district of Oslo. 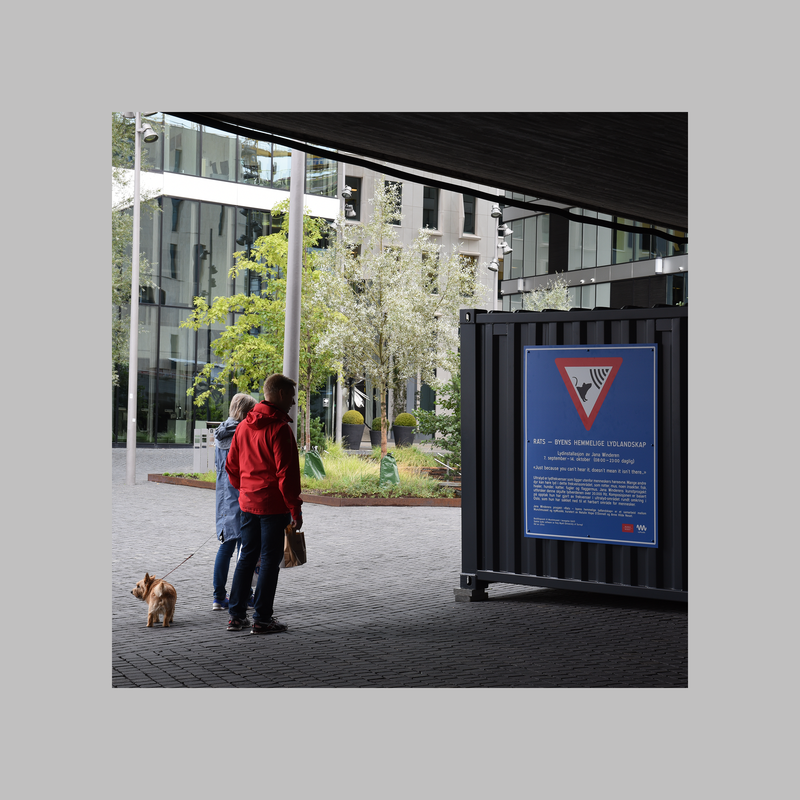 Jana and nyMusikk commissioned me to design signage to explain the sound installation to visitors. 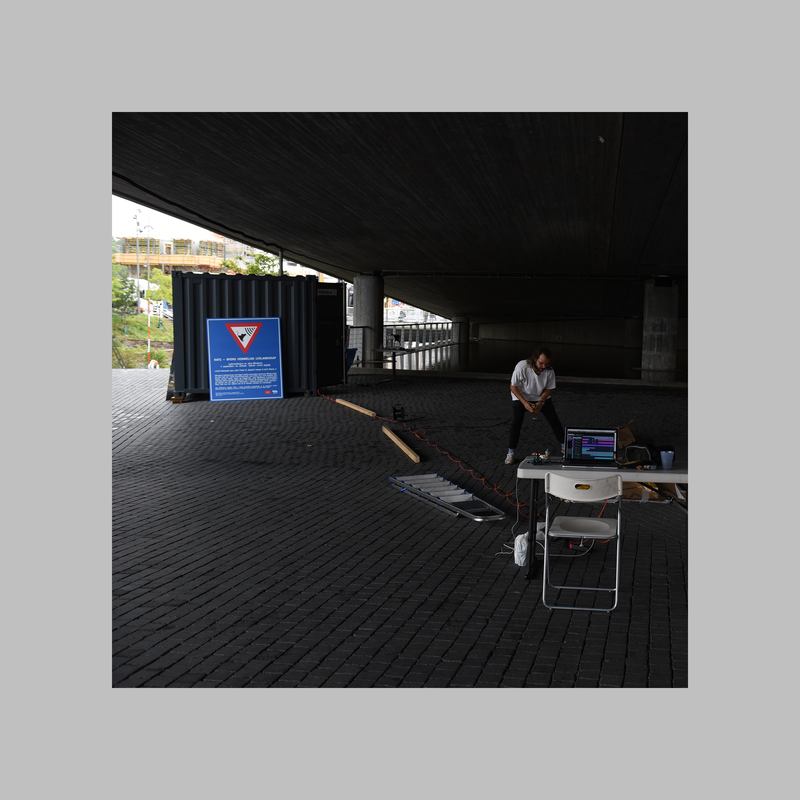 To compliment the concrete overpass setting two boards were constructed using the same retroreflective materials as large-form roadsigns. 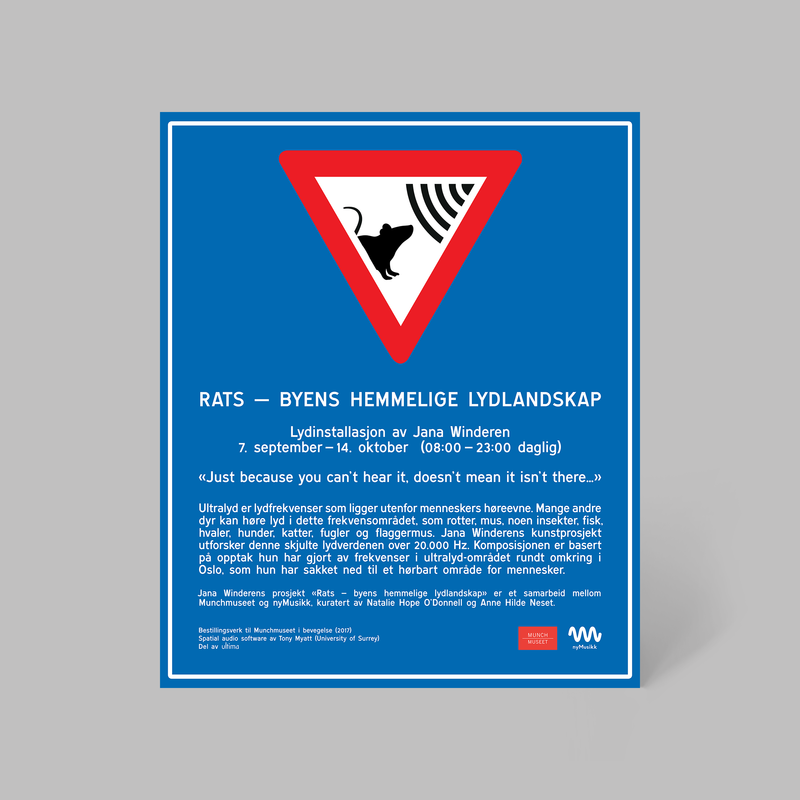 Each featured a ‘pay attention’ icon and were typeset in Trafikkalfabetet, the Norwegian sans-serif font for road signs. 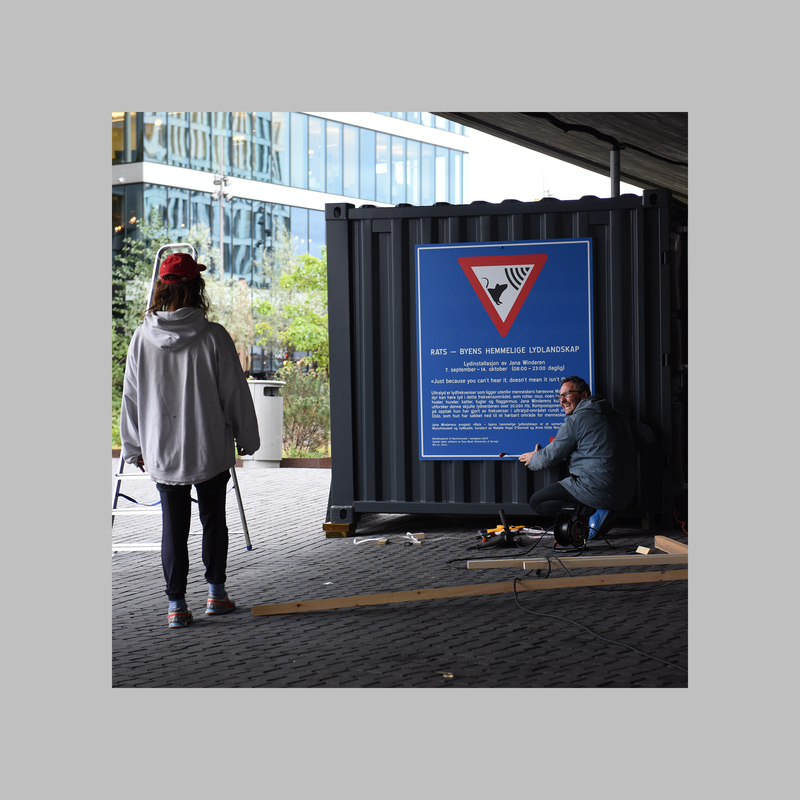 These 1250x1500mm boards were affixed to a metal hut where the tech for the installation was housed. I also designed additional printed matter, promotional stickers, online advertising and animated social media assets for the event.